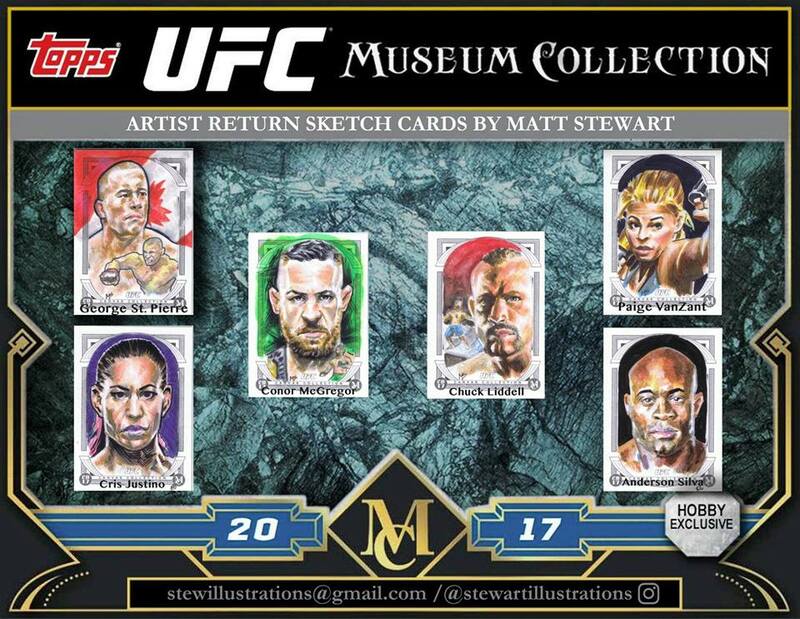 Topps 2018 UFC Museum Collection was the first sports set I’ve had the opportunity to work on for Topps. For this project, I created 40 unique sketch cards that featured some of the top fighters in the UFC. 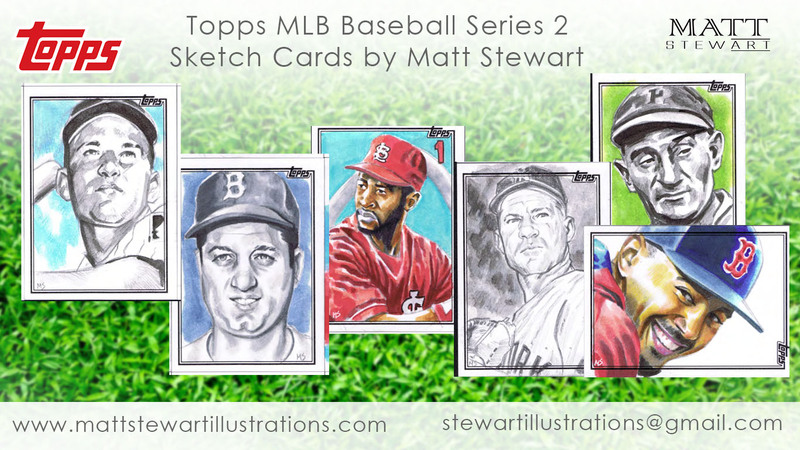 In addition to the 40 sketch cards I created, I also created five additional cards I kept as artist returns. My returns are currently listed on ebay. 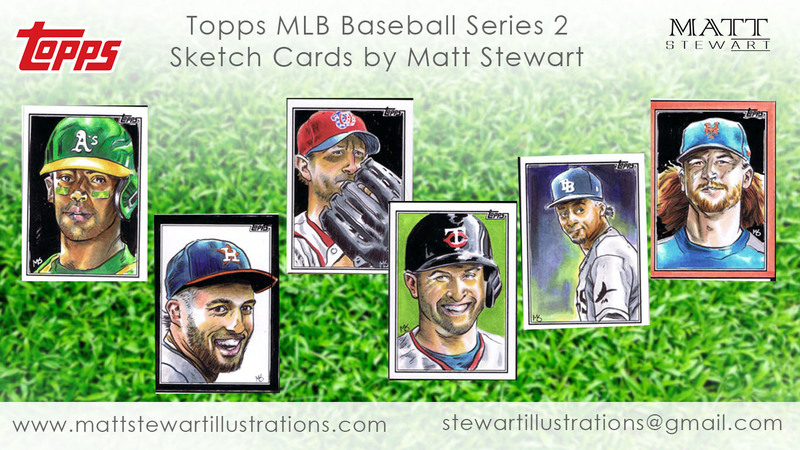 This set is an annual release trading card product from Topps. It is considered a high-end release with packs having only a few cards in them, but you are guaranteed a hit such as a relic, an autograph, or a sketch card. All of the cards have a premium feel to them, being on thicker card stock and having glossy images. 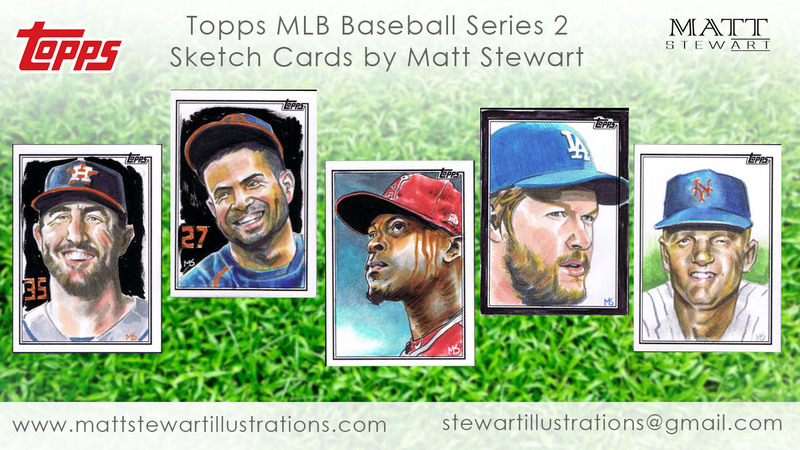 Beckett Cards has a full breakdown of what is included in this product, including a sample image of one of the sketch cards I created! I used two different approaches to this project. The sketch card paper was not ideal for Copic markers, so on some I used watercolors. This approach worked well on a lot of them but I lost the detail I like using in my portraits. 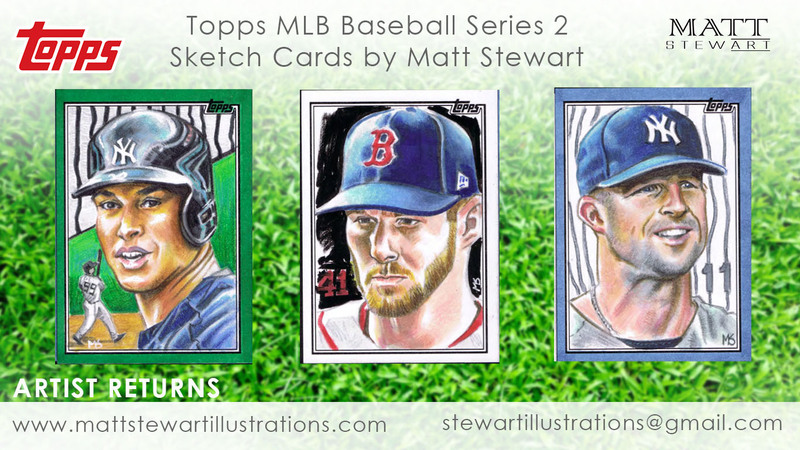 For some of the cards I used watercolors for the entire drawing and others it was only used in the background. In my artist returns I tried to add a little more detail by including a miniature image of the fighter in a fighting stance and this miniature drawing was done in watercolors. The second approach was keeping with my base colour layer of Copics and then going over it with oil pencil crayons. However, because the paper did not have a lot of tooth to it, I applied some of my matte gel to it. This gave it better tooth and allowed for the pencil crayons to go down more easily. On top of the pencil crayons I added another layer of sealant to discourage smudging. Thanks for reading and let me know if you collect UFC Trading cards! 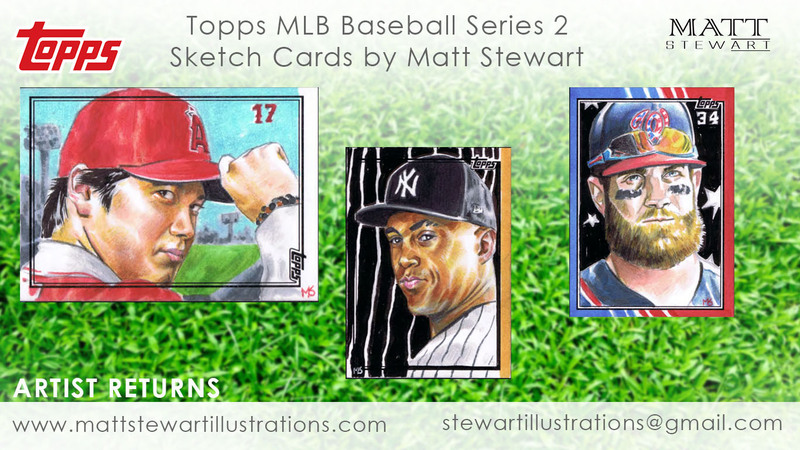 Custom Sketch Cards to have Signed by Celebs! A couple months back I had a table at a small, local comic show. I was specifically there to sell and talk about my sketch cards, with me having a panel at the end of the day discussing what sketch cards are and how I go about making them. As the show was approaching I made a few extra drawings to sell at the show, including three drawings of one of the celebrities that would be there. 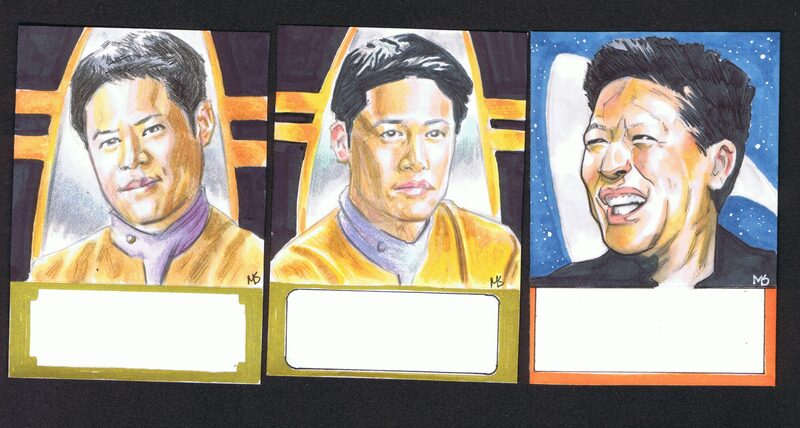 My idea, which isn’t that original as I’ve seen others do this, was to create a few sketch cards of Garrett Wang who played Ensign Kim on Star Trek: Voyager. At the bottom of the drawings I left a blank space where someone could have him sign it. While I’ve seen other artists sell commissions like this online, I’ve never seen an artist sell something like this at a comic con. Above are the three sketch cards I created to have signed by Garrett Wang. Unfortunately, the con was poorly attended and none were sold, but I still really like this idea and the actor himself even saw these and commented on how much he liked them! Each of these cards is sold in an Ultra Pro one-touch plastic case. These are perfect as they are thick and sturdy, able to be easily displayed on a shelf, and easily open for an actor to sign. 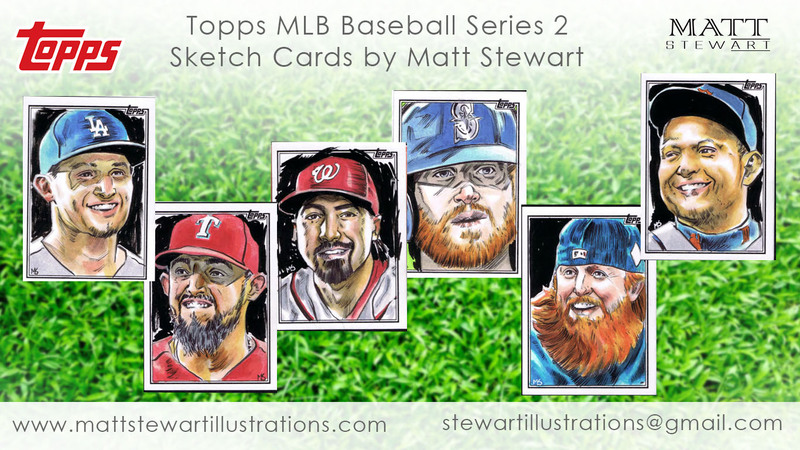 Contact me if you are interested in commissioning such a sketch card or something else from me that could be signed by your favourite celebrity or athlete. The price is $100 for a sketch card, including the drawing, the one-touch case, and shipping within North America. I will need approximately 2 months notice, but the end result will be something truly unique! Author mstewPosted on November 13, 2017 Categories sketch cardsTags commission, portrait, sketch card, sports, star trek, star trek voyager, trading cardsLeave a comment on Custom Sketch Cards to have Signed by Celebs! Milt Schmidt was born in Kitchener Ontario, March 5, 1918 and passed away this year at the age of 98. Milt was a WWII veteran in the Canadian military and a Boston Bruins legend, playing from 1937 to 1942 and 1946 to 1955. He won two Stanley Cups, coached the Bruins from 1955 to 1966, and was inducted into the Hockey Hall of Fame in 1961. This sketch of Mr. Schmidt was done on 8 3/4″ x 6″ illustration paper. I used a black #14 Kuretake brush pen for inking the pencil sketch. Grey markers were used in places on the portrait and a yellow marker with a white grease pencil overlain overtop was used for the background.